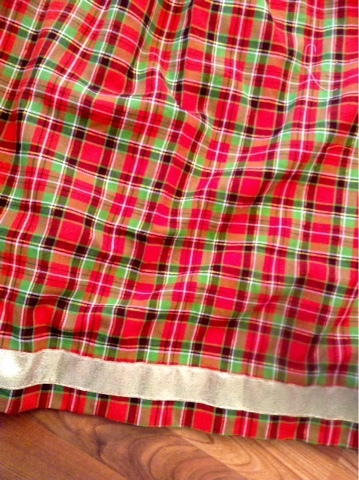 It will be fun to see what you make out of this fabric for yourself! Oh, what a lovely, feminine, and delightful dress! 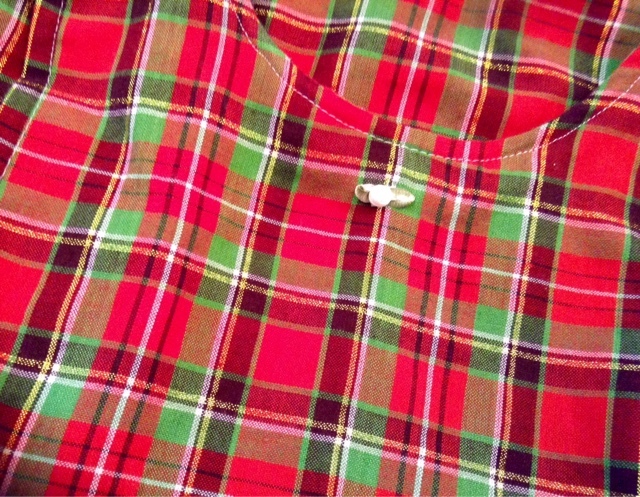 The colors are simply perfect for the Christmas season :) And the shirt underneath is ever so pretty with the ruffle around the neck. Blessings to you on this wonderful day. Hugs! 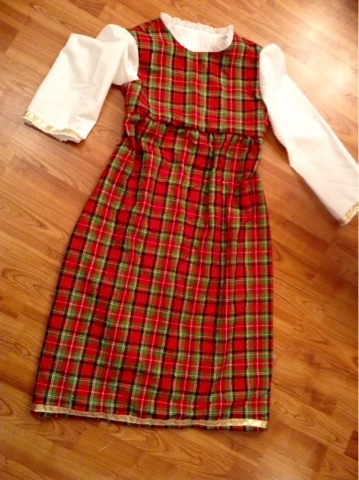 Beautiful dresses and excellent workmanship, Lydia! I love the ribbon accents. Lovely dresses! 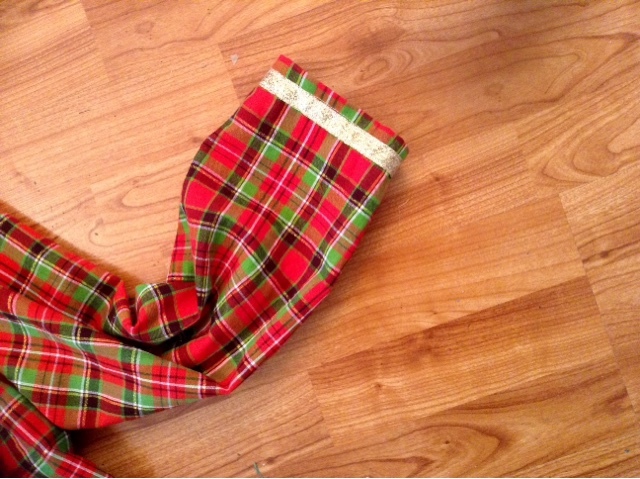 What a perfect plaid and ribbon trim for Christmas and all winter long. Oh my goodness, these dresses are incredible! As a nursing mom, I would buy one from you if you sold them! 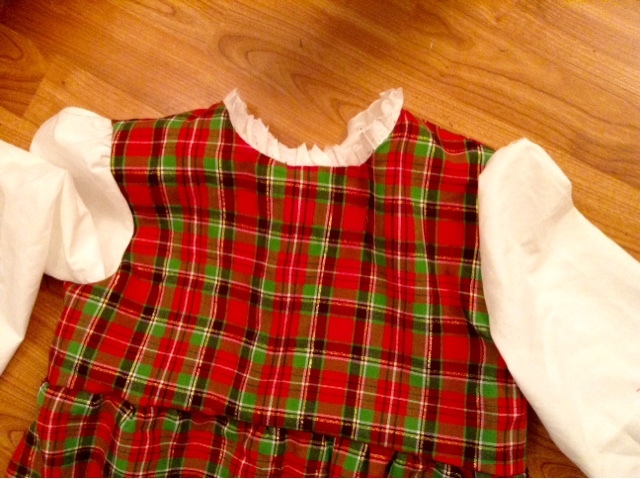 I have a daughter that would look lovely in the size 14 you made, as well. :) Well done! They are gorgeous! 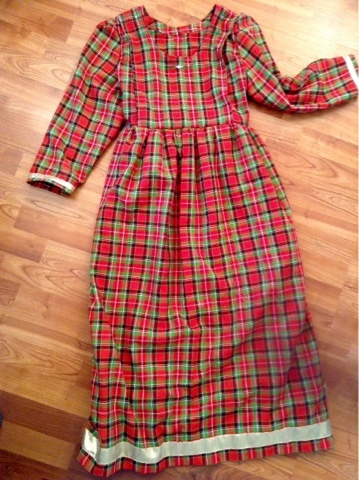 How darling a mother-daughter dress of homespun fabric and such pretty plaid too. Perfect for Christmas. 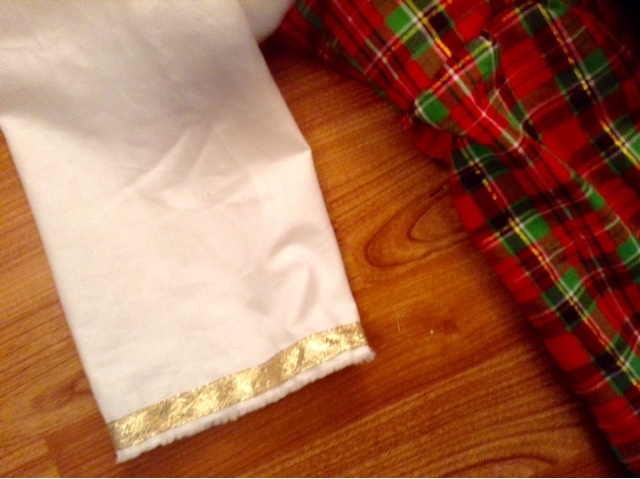 The bow and gold band at the sleeve ends are pretty. A head band or a holly hair clip to match would be nice also.